The Wallacea region, that area of Indonesia marked by the Wallacea line to the West and the Lydekker line to the East and including Sulawesi, Timor and Lombok, is one of the most biologically interesting areas in the world. Why? Well, we’ll come on to that. Alfred Russell Wallace, the co-discoverer of the theory of evolution by natural selection, first visited the Wallacea region in mid-nineteenth century and noticed that animals which he observed on the island of Bali were significantly different to those on Lombok, despite being separated by only 35km of sea. Upon further investigation Wallace found that this phenomenon was restricted not only to the islands of Bali and Lombok but also more broadly, for example between the island of Borneo and Sulawesi. This biogeographic distinction between East and West created an imaginary line running up through the Strait of Makassar and continuing through the Celebes Sea, thus delineating the Western boundary of the Wallacea region. This line was later named Wallace’s line in honour of its discoverer. A similar imaginary line, Lydekker’s line which separates Wallacea from New Guinea and Australia, can be drawn along the Eastern most edge of the Wallacea region due to another change in fauna. So why should it be that the Wallacea region should come to have such a unique community of flora and fauna, so distinct from its geographical neighbours? The answer lies mostly in the areas of sea that were in fact exposed as dry land during the Last Glacial Maximum (approximately 25,000 years ago). During this period, it was theoretically possible to walk all the way from what is now China to the present-day islands of Java and Borneo thanks to a land bridge known as Sundaland. Equally it would have been possible to walk from Australia to New Guinea owing to a land bridge know as Sahul. The Wallacea region however remained as a collection of islands much like it is today thanks to a series of deep-water channels that prevented any land bridge forming to join them up to either Sundaland or Sahul. These deep channels then formed a semi-permeable barrier to any species that couldn’t swim or fly, meaning that Wallacea was essentially geographically isolated for a whole suite of flora and fauna apart from chance colonization events that created a sort of slow bleed of influence of species from either Asia or Australia/NewGuniea. 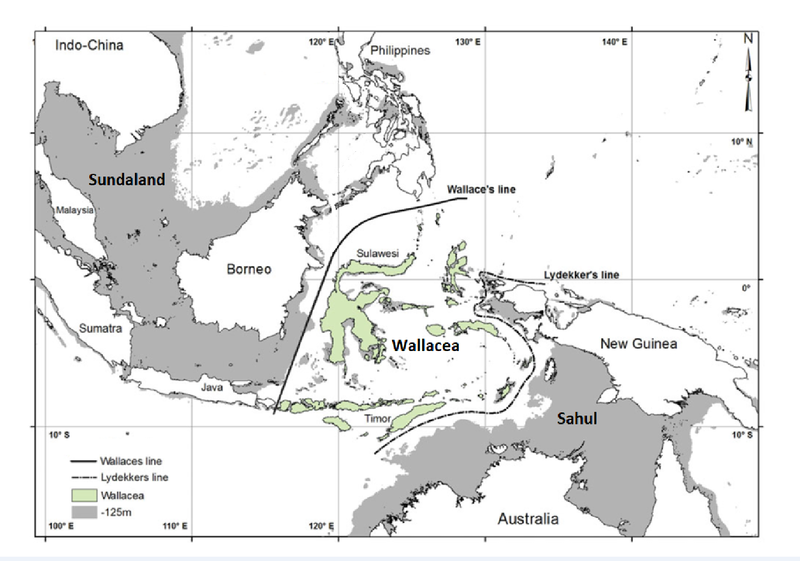 The result of this is a gradient across the Wallacea region from communities in the western islands like Sulawesi that have a strong component of Asian origin species to communities in the Eastern islands like Seram that a very strong component of Australian/New Guinean species but with a very high level of endemism across the whole of the region. Another imaginary line can now be drawn through the centre of Wallacea, running North to South, called Weber’s line that represents the point at which the community composition is approximately 50:50 in its influence from either Asia or Australia/New Guinea. As aforementioned the Wallacea region has very high levels of endemism, where a species is unique to a given geographical location, and this is owing to multiple factors. Firstly, is the geographic isolation created by the restriction of land bridge formation by the deep-water channels during the last glacial maximum. Secondly is the fact that Wallacea is and has been a collection of islands for a long period of time. This has led to endemism on both a Wallacea wide and an individual island scale. Indeed, for several islands, such as Sulawesi and Halmahera, the geographic shape and topography has led to intra-island endemics too. Thirdly, the Indonesian throughflow (ITF), a strong ocean current that transports water from the Pacific Ocean to the Indian Ocean, acts as a potential barrier to any species that may attempt to float across Wallace’s line. The ITF flows through the Makassar Strait and then splits to either pass South through the Lombok Strait or flows eastward before turning abruptly South to pass through the Timor passage. Owing to this strong current any potential pioneers, for example snakes clinging to a tree which has been blown down and washed out to sea in a storm, from Borneo would be quickly floated South and away from the Wallacea region. All of these influences have created a perfect laboratory for biologists wishing to test a wide array of biological theories; from the theory of evolution by natural selection itself to the theory of island biogeography. Research conducted in this region by Operation Wallacea has certainly contributed to our wider understanding of such cornerstones of scientific biological theory. What is potentially more important however is that Wallacea is home to so many unique species found nowhere else on earth, has many areas of tropical forest that remain virtually untouched and uninfluenced by humans and should be something that humankind are rightly proud and defensive of. However, the region currently faces a plethora of threats, from illegal logging and hunting to mass deforestation and of course climate change. The long-term monitoring data that Operation Wallacea collects, currently spanning a 20-year period, helps us to better understand the impact of these threats and of course influence effective mitigating actions against them. 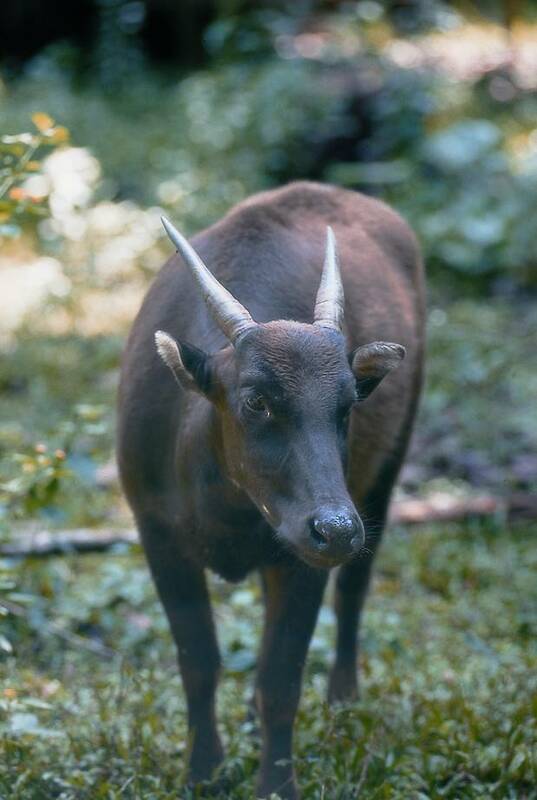 With luck and the continued support of all our hardworking scientists, volunteers and local communities the incredible species that inhabit these amazing forests will be able to call Wallacea home for a long time to come. Want to find out more about our expeditions in Wallacea? Then check them out here. Kealy, S., Louys, J. and O’Connor, S., 2016. Islands under the sea: a review of early modern human dispersal routes and migration hypotheses through Wallacea. The Journal of Island and Coastal Archaeology, 11(3), pp.364-384. The Wallacea region, seen here in green, and showing both Wallace’s and Lydekker’s line. The dark grey regions indicate the continental shelf less than 125m deep – the area that was exposed to create land bridges during the last glacial maximum. Adapted from Keally et. al. 2016.